Search engines employ incredibly complex algorithms that measure a wide array of website characteristics to determine what sites make it to the top of the organic search rankings. With all of those website characteristics being measured, it goes without saying that SEO marketing needs to address a variety of factors in order to be effective. Traditionally, SEO has been about building up site content, implementing keywords, establishing inbound links and performing other tweaks, but the discipline has long since expanded to other functions. Here are the top ten services that an SEO services company can provide for your business. The traditional process of analyzing keyword usage and applying it to your content still applies, however the specifics have definitely changed. 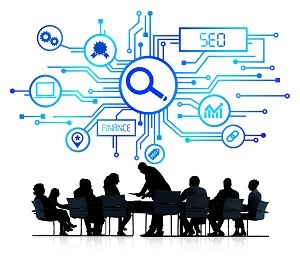 SEO firms are careful not to overstuff their copy with keywords, and getting actual keyword data can prove tricky, since the largest search engines are obscuring keyword data in the name of privacy. There are some still tricks for getting around this, and PPC marketing always nets plenty of good keyword and usage data as well. Link building is yet another service still in use in the SEO world, but this process has changed as well. An SEO services company has to take care to avoid link farms and other dubious link-building methods, as these efforts may incur Google penalties. This service is intended to build quality links from trusted sites to improve rankings. 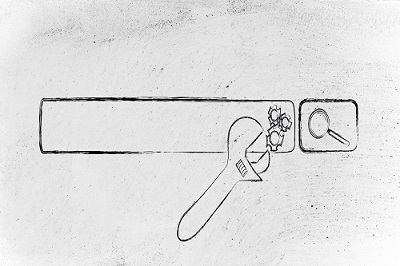 Content is playing an increasingly critical role in SEO services. Google’s latest algorithm changes, as epitomized by the Hummingbird update, emphasize natural language searches and rich content that benefits the user. Rich, engaging content is in increasing demand because it makes an enormous difference to search rankings. Google algorithms take into account your web design and the organization of your web pages as well. On top of that, you want to make sure you have professional web design that gives your visitors a quality experience so that they become paying customers. Google tracks these things as well. A good SEO services company will place at least some emphasis on web design. Graphic design is sort of an indirect aspect of SEO, but just as important all the same. Humans overwhelmingly process visual information much better than they do textual, and it keeps them engaged. Skilled SEO makes use of good graphic design to keep users engaged and coming back, which reduces your bounce rate and positively affects your rankings. Many SEO marketers forget to optimize for local search, which can result in a large amount of missed traffic and conversion opportunity. An SEO services company worth their salt should optimize for all the searches put in by the demographics you are trying to reach in your geographic location(s). When half of shoppers report using their mobile devices to shop, you know you have a fairly large audience to capture. If you aren’t optimizing your website for mobile, or providing some sort of mobile app, you are missing out on crucial traffic streams. Another excellent service that an SEO services company can provide is social media marketing. Social media activity contributes to search engine rankings, and it also reinforces other ranking metrics as well, since you are building up a base of committed, loyal return customers. Reputation management is a service that uses the power of SEO, and other PR techniques, to maintain the reputation you want to be visible online, which of course contributes to overall traffic as well as repeat traffic. Branding is what makes your product or service memorable and visible in a crowded marketplace. A good brand impresses itself on customers, making them more likely to recognize your products, visit your website, and return for more, which further contributes to your search engine rankings as well. Coalition Technologies is a top-rated SEO services company with extensive experience serving businesses both large and small. We offer all of the services mentioned above and more, and our passionate SEO professionals span a broad range of talents. Give us a call today at 1-888-840-3469 to receive a free quote. Having the windows in your home replaced is an inevitable part of long-term home ownership, but it is still something that many homeowners fear. I should know, because I was one of them, until I had my windows replaced by Value Windows and Doors—a window and door company that was recommended by a friend, who had a good experience with the company’s products and service. Like most homeowners, my biggest fear about window replacement was monetarily-based. I had heard about window replacement jobs costing tens of thousands of dollars, and I knew I didn’t have that kind of money to spend on windows. So, I decided that I would make do with my home’s windows from the 1960’s while I scrimped and saved enough money to at least pay for a good portion of the cost. About a year into my savings plan, a close friend asked me why I didn’t just have a hear to heart with a door and window company to see if they could work out a plan I could afford. As far as I knew, every door and window company had flat prices for products and installation. As it turns out, not all of them operate that way. My friend said Value Windows and Doors was flexible, and he was right. I knew the inspection of my windows would be free, but I was still nervous on the day of the inspection. I knew my windows needed replacement, and I had visions of five-figure project bids dancing in my head. After an hour long examination of the windows and doors in my home, the inspector provided me with an in-depth explanation about why my home needed replacement windows and the benefits that would come from installing them. The Value Windows and Doors installer quoted a ballpark price that was lower than I expected and – just as my friend had told me – promised we could work out a plan to get the windows I needed at a price I could handle. Within a week, a deal was reached. To me, switching out all the exterior windows in a home sounds like a long, noisy, tedious construction project. But hey, in the business I’m in, most things get done with a few keystrokes or mouse clicks. To my surprise, I was told the installers would have the job done in a day. I was so interested to see how that could be done, I decided to take the day off work to watch the installation process. On installation day, installers from Value Windows and Doors showed up at 9 a.m. driving a truck that contained windows that were designed to fit the window spaces in my house. I would later learn that this is a big reason why the installations tend to go so quickly: because the windows are custom made for the spaces. They slip right in and are sealed permanently in place without delay. The installers had clearly knew what they were doing. They marched intently from window space to window space, removing the old windows with special tools and installing the replacements soon after. The job took about six hours—far quicker than I ever thought possible. After the job was done, a final inspection was made, and my house was set with new windows. Before Value Windows and Doors installed my new widows, I was not a savvy homeowner who did research about home construction or who to hire for the job. Only later did I find out how good my new windows really were in terms of energy efficiency. Six months after having them installed, I have saved hundreds of dollars on energy bills—money I’m saving for other home projects. The company I decided to hire based on a friend’s advice just happened to have multiple certifications from rating organizations like Energy Star and Enviro Sealed, and they custom make their products instead of outsourcing the process to a third party manufacturer. While I did have to pay a bit upfront, I’m already earning it back in energy savings on my utility bills. When it comes time to outfit my house with new exterior doors, I think I know which company I’m going to call: Value Windows and Doors. Wow, this article got a lot of attention! I should clarify that this model legally and ethically does not work with publicly held companies. It only really makes sense in small private companies where the entire ownership backs the idea. Also – it is not legally binding but more of a personal commitment for those of you who were thinking you would have to get government approval to divorce your employer! I have discovered that the relationships between company and employee are very very similar to relationships between husband and wife. “That’s a crazy idea!”, you say? Why do people become exclusive in relationships? Why only date one person when there are so many other interesting people out there? Why do people get married? Most people would like to have the option of seeing other people when they get bored or when they see someone better / prettier / richer / smarter / nicer come along. So why would they want to be exclusive? Mostly because they want their significant other to be committed and not leave them whenever the significant other has a better option. The trauma of being dumped on a whim for someone else is described by people who’ve had this happen to them as being one of the most painful events of their lives. People will go great distances to avoid this pain, including giving up potentially better opportunities. More than 3/4s of people get married, making a long term commitment to another person to be exclusive. With 3.5 billion other people to choose from do you think that most of those people found the absolute best single person for them? Of course not… but they found someone who is great for them and that is better than the traumatic risk of being dumped and having nothing and being alone. Dating – no real commitment, each person can and generally does go on dates with other people. Boyfriend / Girlfriend – exclusively committed to one another not to actively look, but if a wonderful opportunity falls in one’s lap then the relationship can be ended. Husband / wife – exclusively committed for better or worse… no matter what amazing person comes along next. As long as basic rules aren’t violated (no cheating, physical abuse, etc) you should not leave. Ok, so how is all of this similar to a work relationship between a company and an employee? There are big benefits for a company in having an exclusive relationship with an employee. The company can be sure that that person will show up each day and do their best to do good work. The company does not have to go through the painful upheaval of turnover nor the expense of trying to hire and train someone else. The company can confidently trust the person to do their job and can focus on improving and growing in other areas. There are also big benefits for an employee to have an exclusive relationship with a company. Job security is generally rated as the most important single benefit an employee looks for in a company. People don’t want the company to be constantly looking to replace them with someone who might be slightly better. Most people have children, rent, mortgages, car payments, ailing relatives and other big expenses that if they suddenly lost their job would cause extreme trauma in their lives. Just as in the personal relationship side of things, there are very strong incentives for companies and top team members to commit to each other in the same sort of exclusive way that husbands and wives do. There is probably a greener pasture out there for both the company and for the employee, but the risk and pain associated of not having a commitment is too great to allow. Most employees and companies today seem to view each other as transient and if either party sees a better option, they will bail. This is not a good thing for either group, since it leaves laid off employees in extremely bad positions and leaves companies scrambling to find replacements. Some companies today and many companies of yesteryear had a different relationship with their team members: that of the husband / wife level of commitment. During bad years in the business, the companies would not lay their people off. Employees would work at a company for 40 years and commit their lives to building something truly great. That is how the greatest teams in history have been built and one of the big reasons the world advanced so far in the last 150 years. Dating – this is the initial period when the company assesses the employee and makes sure they do good work. The employee assesses the company and thinks about if his benefits are fair and he likes the work and goals. Boyfriend / girlfriend – the company and employee have been together for six months or so and are starting to get serious. The company is not actively interviewing for replacements and the employee is not out looking for better job options. If some truly great opportunity comes along in either direction, it is generally acceptable for the company to lay off the employee or the employee to quit. Husband / wife – the company and employee choose to be exclusive. This means that even if the company finds a better opportunity or the employee gets sick or something, that that person will stay on the team. If the employee gets offered a better job, he will stay committed to the company and building a long term relationship. Doing so removes the risk of trauma for both parties. It allows for focus on growth and doing what’s best for the team without worry or backstabbing or other issues. Is the employee the single best person in the world for the job position the company has? Undoubtedly not – with 7 billion people to choose from there is certainly employees out there who are smarter, faster, cheaper, harder working, more focused… but the company would rather have a great employee marriage and not have the perfect person than face the trauma of losing that person. By the same token, there are millions of companies in the world and undoubtedly there is some company willing to pay higher, give more benefits, give more time off, provide a nicer boss … but the employee would rather have a great company marriage and miss out on the perfect job rather than face the trauma of being fired on a whim when productivity dips or when the company finds someone better. Should all companies and all employees make a marriage commitment to one another? Of course not. It should only happen after working together for at least a year and getting to know each other very well. It should happen when the company believes the employee is a great fit, and when the employee believes the company is a great fit. This will happen with under a quarter of the employees at any given company. Now the all important question of how to make this commitment? Should the manager of the company take the top employees to a church and get a priest to go through wedding vows? Should there be an exchanging of rings? Which finger should the ring go on? Is there a bachelor party? I am not entirely certain. I have been working recently on writing stock / option trading algorithms and have run into lots of troubles. For instance, it appears that only Interactive Brokers offers a decent API for actual live trading. Second, getting fundamentals data to run my algorithm on is not offered by Quantopian (the easiest IDE for python trading). I have tried working with Excel VBA as well for Interactive Brokers but the error logging and IDE are painful. A brochure can serve as a powerful – and visual – way to express your business’ services and products in a compelling manner for your customers. However for a brochure to be successful, and not just a waste of time, energy, and resources, it should feature a professional-quality design that is appropriate to the effect that you want to achieve. Here are some tips from our Los Angeles brochure designers on how to design a professional-quality brochure. Think about the demographic you are trying to reach. What should your customers know about your products and services? How are you going to present them? Will your brochure sum up information for your customers to be taken in after you meet with them? 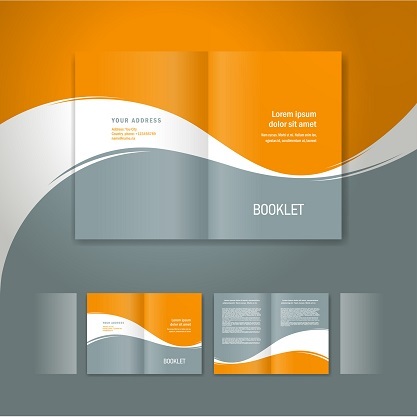 Or is your brochure to be sent to customers who inquire about your products and services? Maybe this is a brochure you can pass at a point of sale? The purpose of the brochure will determine everything else: the materials, format, and content you decide to use for the brochure. When our Los Angeles brochure designers go about procuring materials for the project, they always seek out quality materials that speak to your professionalism. It is worth putting the money into high quality paper and printing techniques that accentuate the brochure content. Glossy, thicker paper materials feel better on your hands and bring out the colors in the content, sending your customers the message that you care about the products and services you put out. Some businesses even use nice touches like textured covers with embossed type or sleeves with shapes cut into them to add another layer of presentation. 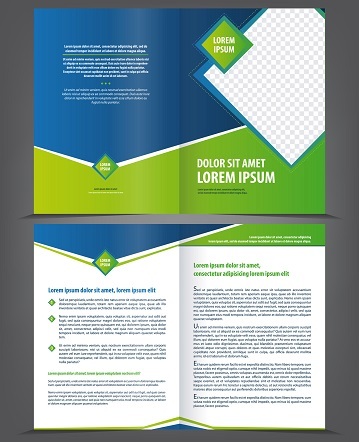 There are several things to consider when you think about formatting your brochure. You need to think about the size of your brochure, the way it will fold, the information and type you want in your brochure, and any pictures you want to put in and where they will go. Whether your brochure is going to be mailed or simply given to a customer will determine the size and shape. You also want to make sure you are presenting the necessary information in an eye-pleasing format, but avoid making your brochure too busy and cluttered. Provide space to allow your reader’s eyes to wander over the various pictures, graphics, and text blurbs at their leisure. Make sure you are using quality graphics, pictures, and written content. Our Los Angeles brochure designers work with professional content writers to generate informative, fresh content. We are also sure to secure appealing, professional pictures to support the overall message of the brochure and generate visual interest. How does the font of your text, the colors of your graphics and text, and your pictures all look together, given the format you originally decided on? Coalition Technologies offers the top Los Angeles brochure designers in the industry. Our designers sit down with your business to understand exactly what you want to communicate about your products and services, as well as the demographic you are looking to sell to. Our designers work with talented professional content writers and quality materials and printing techniques to give you a professional grade brochure that tells your customers that you care about the products or services you put out. Give us a call today at 1-888-840-3469 and get a free quote.